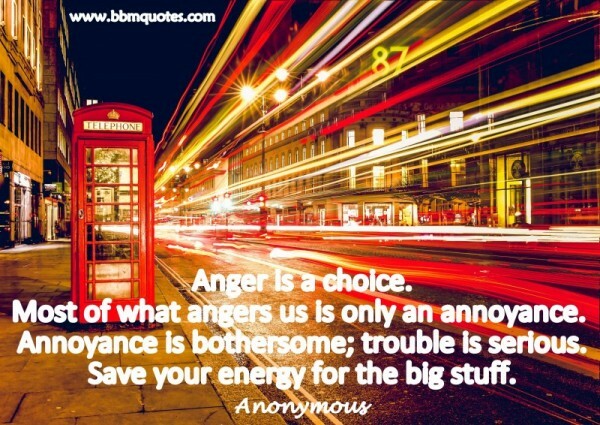 Anonymous | Anger is a choice. Most of what angers us is only an annoyance. Annoyance is bothersome; trouble is serious. Save your energy for the big stuff.